In 2016, the City of San Leandro initiated a collaboration with start-up SyncFab, a young San Leandro business, through the Startup In Residence Program (STIR). The goal? To create transparency in the City’s manufacturing supply chain, making it easy for buyers to connect and contract with San Leandro advanced manufacturers/fabrication shops that meet their specific needs. Potential customers of San Leandro advanced manufacturing businesses range from hardware startups to large manufacturing companies like Tesla. Until the arrival of SyncFab, finding fabrication shops that met the specific needs of individual buyers could feel like finding a needle in a haystack! For many buyers, it often felt easier to simply source their needs from China. SyncFab’s answer? Deploy a unique web-based platform that enables buyers to connect directly with specialized hardware manufacturers, select the right vendors, place bids and effortlessly track production. 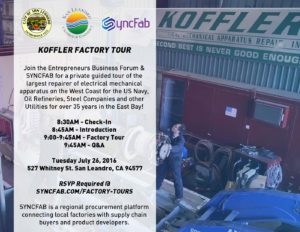 The initial SyncFab platform was created in 2013; it was improved significantly based upon the company’s direct contact with San Leandro manufacturers through the STIR partnership; and the City contracted with SyncFab in September 2017 to focus on San Leandro companies for on-boarding onto the platform. The result? Over 50% of the total businesses now on the platform are San Leandro advanced manufacturing businesses, receiving bids and doing business that would have been very difficult to generate without SyncFab technology. Adding to this already unique matching capacity, SyncFab has announced it is creating the world’s first peer-to-peer manufacturing supply chain — on Blockchain technology! Activation of blockchain technology is most well known through its initial public application: digital currency (or cryptocurrency), bought and sold through companies like Bitcoin. A block is a record of new transactions, which could mean the location of cryptocurrency, or medical data, or even voting records. Once each block is completed it’s added to the chain, creating a chain of blocks: a blockchain. 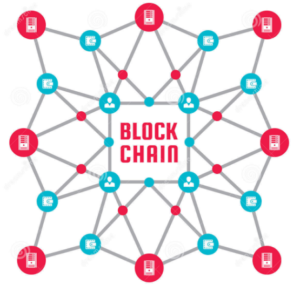 Blockchain is like a public ledger on the internet, making it possible to freely distribute validated data online. 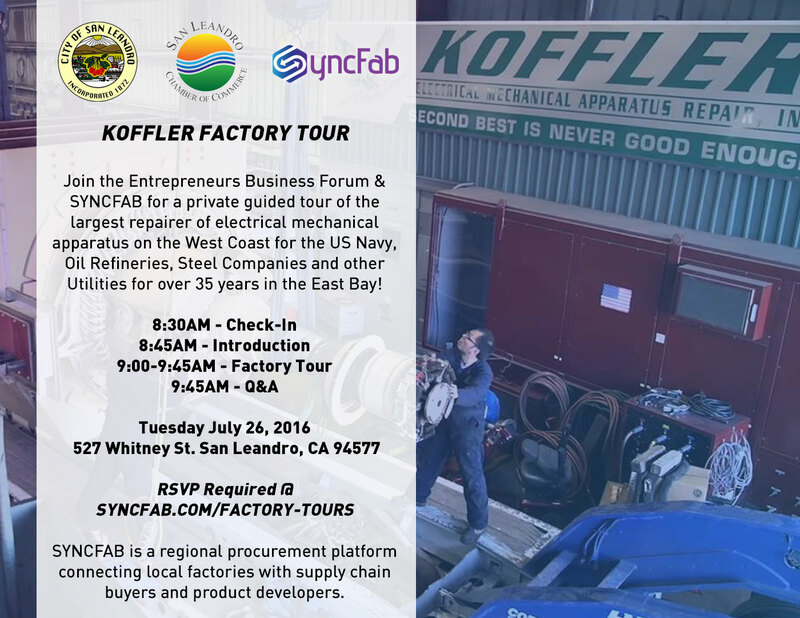 What does SyncFab and its implementation of Blockchain technology mean for San Leandro manufacturers? Cuts administrative time and costs. This in turn means that businesses using SyncFab are likely to strengthen their corporate reputation through transparency, improve their credibility and public trust of shared data, reduce public relation risks from supply chain malpractice, and improve engagement with shareholders and stakeholders. Which in turn will attract more business (from regional to global) and create more well-paid industrial jobs! The SyncFab platform is the first peer-to-peer Industrial IoT (internet of things) manufacturing blockchain supporting the hardware manufacturing supply chain. It is also uniquely the first incentivized token system adapted for public and private blockchains. Read more about this innovative initiative in this Chip In article, published on January 22, 2018. Congratulations to SyncFab for implementing this cutting-edge technology to assist Bay Area advanced manufacturing businesses to grow and thrive! wow san leandro becoming a player in blockchain technology? Very cool! San Leandro Biz Prime Roots Wins 2019 East Bay Innovation Award in Food Category!